Three-Ingredient Cranberry Relish Recipe - Amazing Appetizer! Three ingredients is really all you need to create a tasty appetizer. 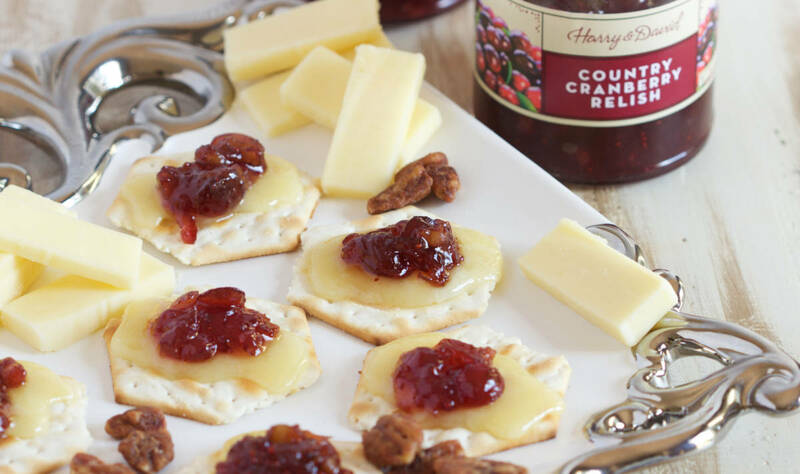 Cranberry Relish Cheddar Crackers are a simple and soon-to-be party favorite. Ready in just minutes, they’re filled with rich flavors everyone can enjoy. This appetizer is so easy to make! Just take your favorite cracker and top it with a slice of white cheddar cheese. 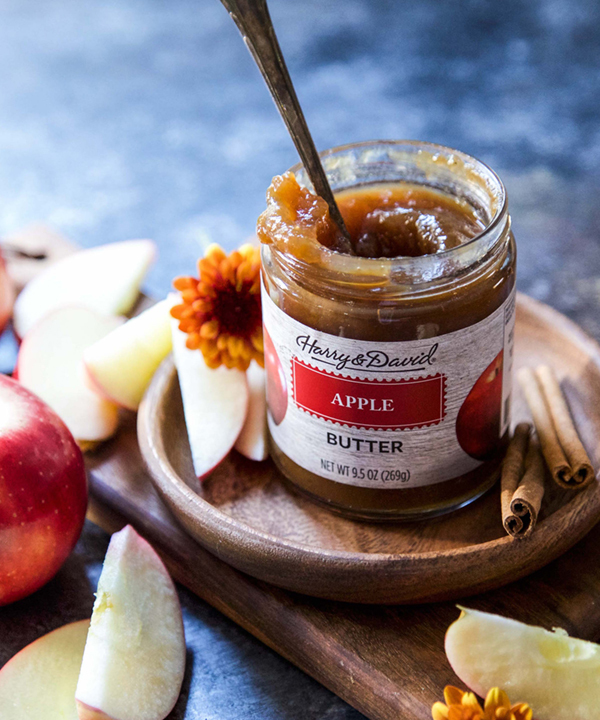 Pop it in the oven for 4-5 minutes until the cheese is melted then place a dollop of tangy, sweet Harry & David Cranberry Relish and serve. They’re the perfect addition to any party and great for drop-in guests during the holidays. The sweet, tart cranberries go exceptionally well with cheddar cheese and the cracker adds the perfect amount of crunch. This relish recipe is completely addicting and will be gone in a flash! 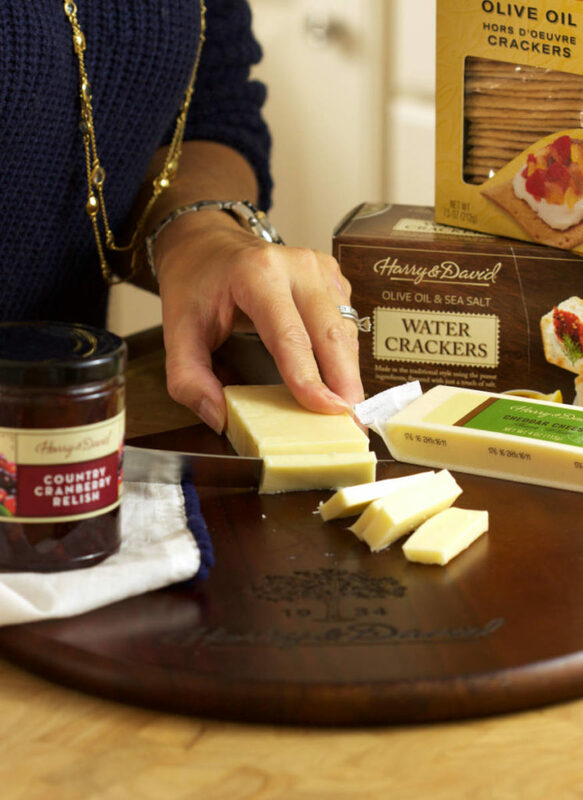 Arrange the crackers in a single layer on a baking sheet, and top each cracker with one slice of cheddar cheese. Bake for 4-5 minutes or until the cheese is melted. Top each cracker with 1 teaspoon of cranberry relish. Et voilà!